These are built to same commercial-grade standards as the rest of Echo's power tools. Large 80.7 cc engine makes it the preferred package among fire/rescue personnel for quickly ventilating building structures. 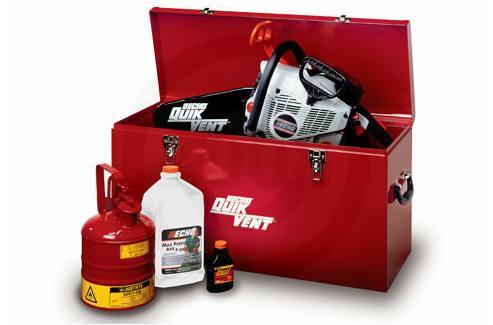 Includes Steel case, bar and chain oil, and gas can. 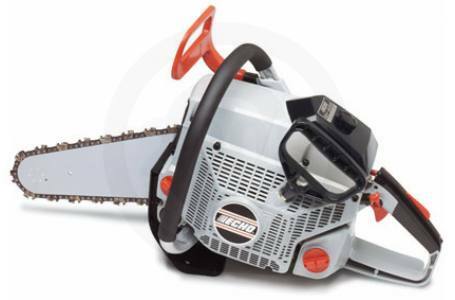 ECHO's largest chain saw power head at 80.7 cc. Superb power-to-weight ratio, lighter than most other saws in its class. Steel carrying case, 1 gal. Max Performance™ bar and chain oil, and 1 gal. safety gas can. STD Bar Length: 12 in. Fuel Capacity: 28.9 fl. oz. Oil Capacity: 13.0 fl. oz.